It’s fall in North Texas and usually, that means homeowners have their eyes on Thanksgiving and the fast approaching holiday season. One thing homeowners aren’t considering is their roof. At least not until they see some kind of warning sign that signals it may be time for a roof replacement. So, how do you know if it’s time to get a brand new roof? Ignoring key warning signs presents all sorts of risks. Some of which are possible leaks that can cause mold on the interior and exterior of your home. Here are 7 warning signs that say it’s time to re-roof your home. As with most things, the older it gets, the more likely that the daily wear and tear has taken its toll. 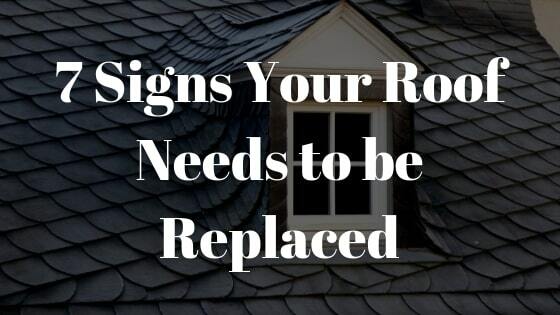 The age of your roof is a key indicator as to whether or not a replacement is required. Typically, most steep slope asphalt roofs last about 20-25 years. A key feature of all step slope roofs are valleys, designed so that rain and snow can flow through them and down into your gutter system. If shingles are missing or damaged in this critical area, water is more likely to build up on the roof. This can leave your home highly vulnerable to leaks. A few missing shingles are easy to replace. But if shingles are buckling, cracking or missing on every side of your house, it isn’t just about storm damage. If your shingles are too old to do their job, and you need to replace them. Bare shingles are those shingles that are missing most of their granules. If your shingles are bare, you can often find piles of granules along your foundation. This indicates that these shingles at the end of their lives and they can’t protect your roof anymore. It is time to take them down and replace them. Have you ever driven past a home and the shingles look cracked and curled at the edges, almost as though they had been cooking in the sun too long? It might also be time to take a look at your own roof. Are the shingles flat or are some of them buckled and/or curled? If this is the case, it’s a good indicator that a new roof is needed. 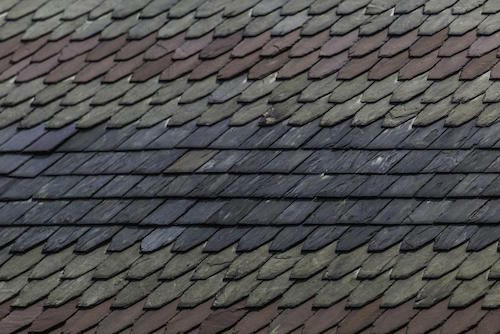 When shingles are past their ‘best by’ date, they can often lose their shape. Curled shingles can also cause water to pool on your roof, increasing potential for leaks or other types of water damage. 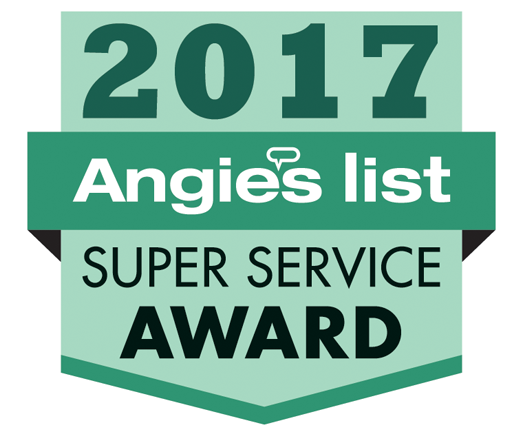 Your home’s attic can be considered as the ‘nerve center’ of your home and can often be the best place to get a sense of your roof’s health. A lot of secrets that might normally go unnoticed are hidden in the attic. For example, do you have wet or damp attic insulation? Does sunlight peek through the roof decking? If so, then your roof is in need of repair or replacement. The unbalanced intake and exhaust (or lack thereof) of air can ‘cook’ shingles from the inside out. This can result in curled shingles. A thorough attic ventilation assessment should be performed as well. If your home has a chimney, it likely has a protective sealant around it. Older chimney flashings use a roof cement or tar to ensure it is properly sealed. As time passes, the flashing can wear away or start to deteriorate. Using a watertight option, such as metal flashing can better protect your home. Foundation problems have a lot to do with your roof. Roof problems can often go hand-in-hand with foundation problems. When the foundation is damaged, it’s likely your roof will get damaged as well. Remember, if your foundation moves, so does your roof. In the vast majority of cases, roof damage caused by foundation issues manifests along the ridgeline. The ridgeline may look bowed or curved. Your roofline may also appear to dip or have a hump. To prevent these problems, the experts from Granite Foundation Repair, a local foundation repair company, suggest getting in the habit of regularly checking your home’s foundation for damage. Because when it’s structurally sound, it also means that all the structural elements attached to it are structurally sound as well. Now that you’re absolutely sure that you need a new roof, you need to think about what to do next. Unless you have extensive roofing experience, it’s a good bet you don’t want to take on the job of installing a new roof on your own. The better option? Find a reputable contractor who can effectively and expertly walk you through the re-roofing prices from A-Z. Choose a contractor that you feel comfortable with handling the project here. While roof repairs can be expensive, don’t put your home and your family at unnecessary risk by ignoring the problem. 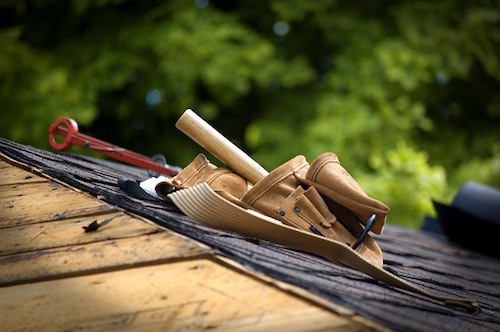 If your roof is in immediate need of repair or replacement, contact a professional roofing contractor right away!